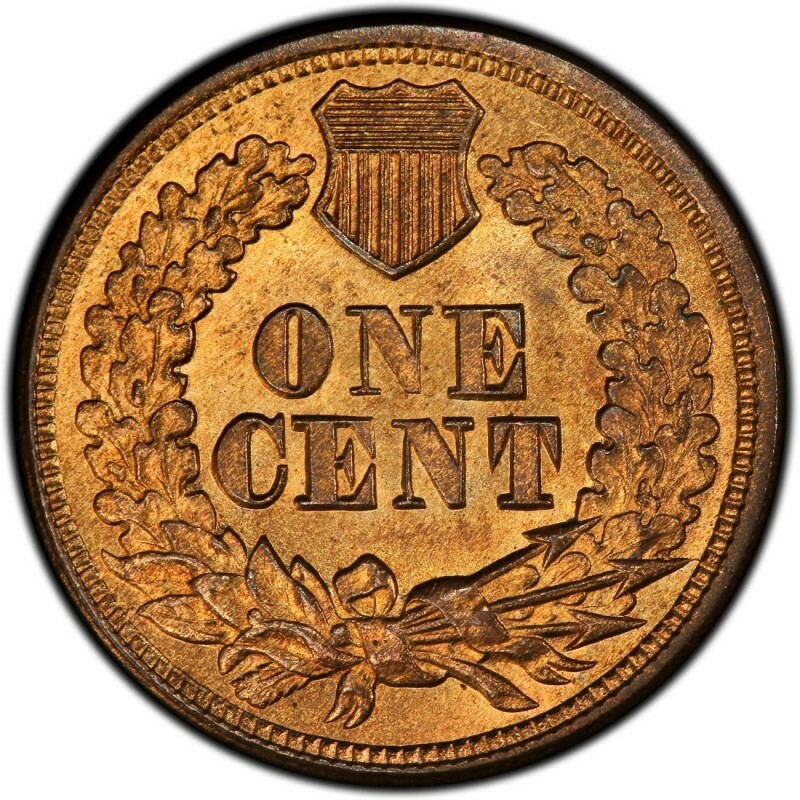 1864 Indian Head cents mark an important transition in the series, because that was the year that the U.S. Mint switched from the copper-nickel alloy that had been used since 1856 to the more familiar bronze composition. This change happened during the year and thus resulted in two primary types of 1864 pennies, the copper-nickel and the bronze. There was also a slight design modification that placed an “L” for the last initial of the designer, James B. Longacre, in Miss Liberty’s hair behind her neck. *Values are for coins in a grade of Good-4, unless otherwise stated. The figure on the obverse of the 1864 penny is indeed Miss Liberty, many mistake the head for that of a Native American. However, the inclusion of a traditional native headdress on her head is one reason many believe this to be an image of an American Indian tribal member. The story behind the figure is that the model was Longacre’s young daughter, who was playfully crowned with a traditional Native American headdress by a visiting chief. The designer was amused by the site and sketched a picture of the young girl to show his wife. 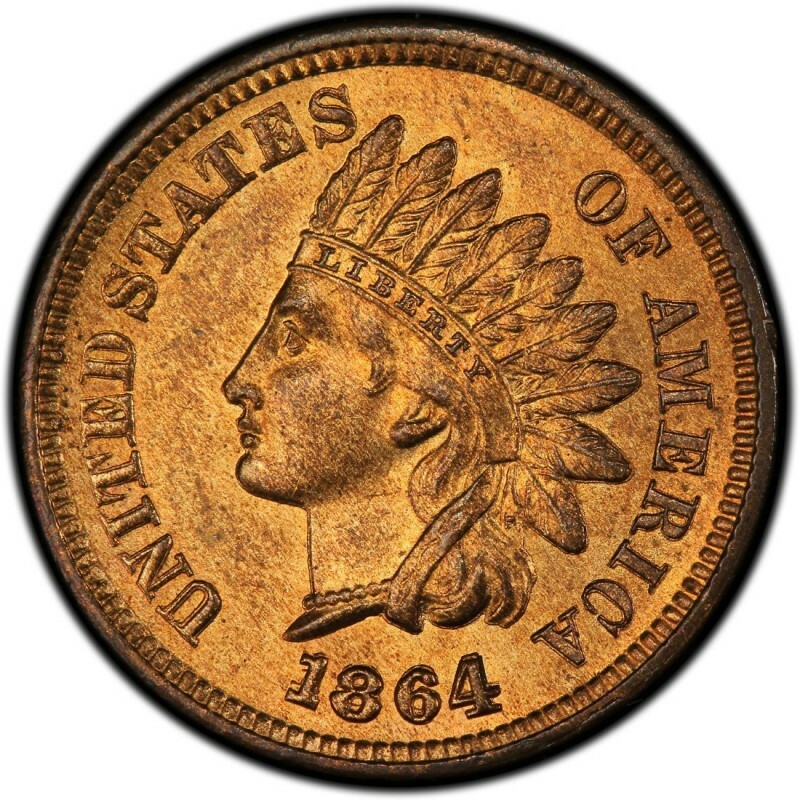 The sketch is believed to have been the basis for the 1864 Indian Head penny design.